Ferrum College will once again welcome a record number of students to campus this fall, the third consecutive year of significant enrollment increases. Ferrum expects close to 650 new students to begin classes on September 1, with total enrollment projected to be over 1,300 students for the first time in nearly a quarter century. “It is wonderful to have another year of record enrollment at Ferrum, in both the numbers of new students and returning students,” says Gilda Woods, Director of Admissions. “ Woods commented that this year’s entering class will come from 18 states and 5 foreign countries. “So many new and exciting amenities have been added at Ferrum, and new projects are being planned all the time. 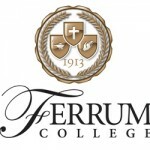 Our alumni often comment that they wish they could come back to Ferrum as students now!” said Woods. Since Ferrum College President Jennifer Braaten implemented the College’s new marketing plan in 2004, applications at Ferrum have increased 89%, the number of new students has increased by 82%, and total enrollment has increased by 45%. Braaten says the campus is energized and enthusiastic about these numbers. “In the past several years we have not only made dramatic improvements to our campus facilities, but also in our academic, athletic and experiential learning programs. Directly communicating these new initiatives to prospective students is one of the main reasons for our success.” she notes. To accommodate the growth in enrollment, the College entered into an agreement last February with Mod-U-Kraf Homes of Rocky Mount to construct a new three-story residence hall on the west side of campus. Working in conjunction with several other local companies, Mod-U-Kraf Homes completed the brick-faced, white columned structure in less than 6 months. The new building, to be known as Margaret M. Clark Hall, will accommodate 120 students, two to a room, and is expected to meet ENERGY STAR certifications. It is named in memory of the late Margaret Clark, Ferrum’s former registrar and longest serving staff member. This is actually the third consecutive year in which the College has opened a new residence hall to accommodate its growing student body. Two apartment-style residence halls, Arthur Hall and Moore Hall, were constructed on the east side of campus in 2006 and 2007 respectively. For more information about enrollment or the new Margaret M. Clark Hall, contact the Ferrum College Public Relations Department at 540-365-4300.